Martin Compston is a Scottish professional footballer turned actor who is widely known for his role as Detective Sergeant Steve Arnott in the crime drama Line of Duty. He is also famous for his starring role as Ewan Brodie in Monarch of the Glen, Liam in Sweet Sixteen, and Paul Ferris in The Wee Man. 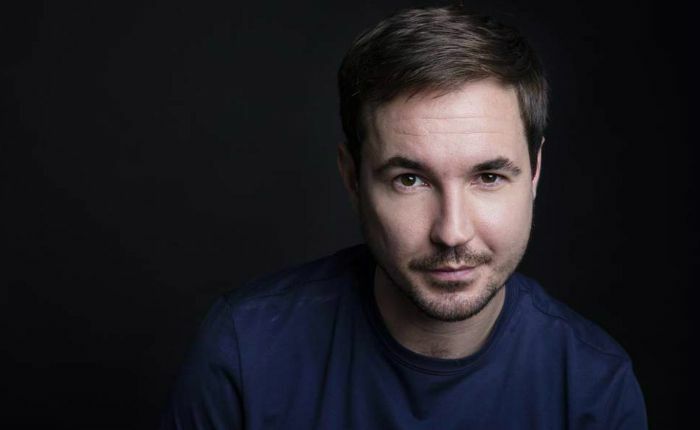 Martin Compston was born on May 8, 1984 in Greenock, Renfrewshire, Scotland, UK. He is currently 34 years old. Martin went to St Columba’s High School in neighboring Gourock, however, he dropped out at the end of his fifth year in High School to pursue his dream as a footballer. He was later signed by Morton Football Team. He obtained three As and two Bs in his Higher results. Martin is the youngest of the two children to his parents Jim Compston and Liz Compston. He has an elder brother, Barry Compston, with whom he grew up in Greenock, Inverclyde. Martin Compston married Tianna Chanel Flynn on 19 June 2016. At junior level, he played for Aberdeen, and after quitting school he signed for the local professional team Greenock Morton. He played as a substitute in two games of the 2001–02 season. Morton lost 4–0, to Alloa Athletic and Queen of the South. Martin Compston had his first acting credits in Ken Loach’s ‘Sweet Sixteen’ as Liam. Having never acted before, his performance in the film brought huge fame at the Cannes Film Festival, which earned him a nomination for Most Promising Newcomer at the British Independent Film Awards. In 2003, he made his television debut as Ewan Brodie on BBC drama TV series ‘Monarch of the Glen.’ He acted in a total of 20 episodes of the series between 2003 and 2005. Martin received praise for starring as Anti-Corruption Unit Detective Sergeant Steve Arnott in the BBC crime drama Line of Duty in 2017. In a career spanning more than 15 years, Martin Compston has accumulated a net worth of $5 million. As a young a teen, he used to watch soccer with his brother and decided to become a professional footballer one day. Martin was discovered by director Ken Loach at an audition at his old high school and gave him the lead role in Sweet Sixteen. In April 2013 Compston starred in the ITV mini-series The Ice Cream Girls. In 2018 he starred in Josie Rourke’s historical drama film Mary Queen of Scots alongside stars Saoirse Ronan, Margot Robbie, and Jack Lowden.